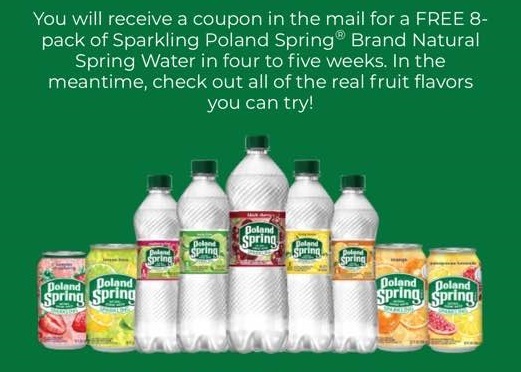 coupons freebies FREE 8-Pack Poland Spring Sparkling Water Coupon BACK AGAIN! Super excited to see this offer has been extended now through September 30, 2019 or while supplies last! Hurry over and fill out the form here for a FREE 8-Pack of Poland Spring Sparkling Water. I am not sure if you will receive another coupon if you previously requested this but I filled out the form just in case. The new coupon has an expiration date of December 31, 2019, so it seems to me this is a new offer. You will get this coupon in the mail in about 7 to 10 business days. Great freebie!